i've actually stuck with something for twelve days (technically thirteen but that's for another post). in an effort to ease into a project 365 photography project for 2012, i jumped in to the #janphotoaday challenge on instagram. 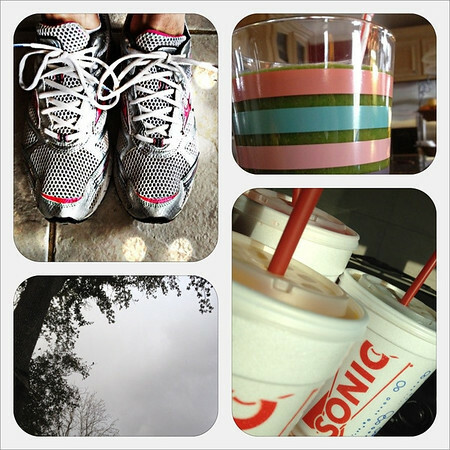 it's been fun to have a theme every day. 1. you (or in this case me, already in bed with my book, i found out about this project late in the day). 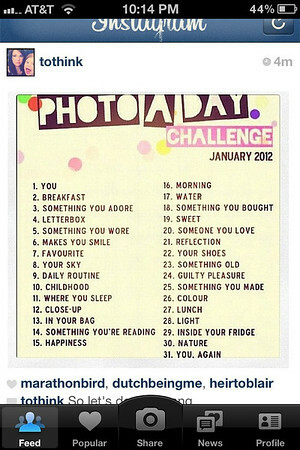 here is the list for #janphotoaday in case any of y'all want to play along too. c'mon, it'll be fun! and on another note of randomness that i must get off my chest, i was trapped in a PTF meeting this morning for over a ridiculous hour and am feeling a bit bitter about the whole thing. not that it's that big a deal or anything. but i was only interested in my responsibility for the class art project for the school auction, which was covered in the first 15-20 minutes. fine. then an overview of the entire auction plans/committees/tasks/past experiences/ blah diggity blah began and i was trapped, trapped i tell you on false pretenses (i thought the meeting was only about the class art projects, not the entire auction). and there were several miss know-it-alls in attendance as well. it was all i could do to not roll my eyes eleventy thousand times. if i ever come across as a miss know-it-all you hereby have permission to slap me. okay. i feel better now. thanks for listening. What's in the green smoothie? Where can i find the picture challenge? Keep the posts coming. Love them. Chelsea: for the smoothie I blend a couple handfuls of spinach, sometimes a leaf or two of kale too with 8oz. almond milk, a banana and sometimes fresh pineapple. I've been adding a scoop of Amazing Wheat Grass powder too lately. I try to drink one a day or every few days if I can. They're really yummy! 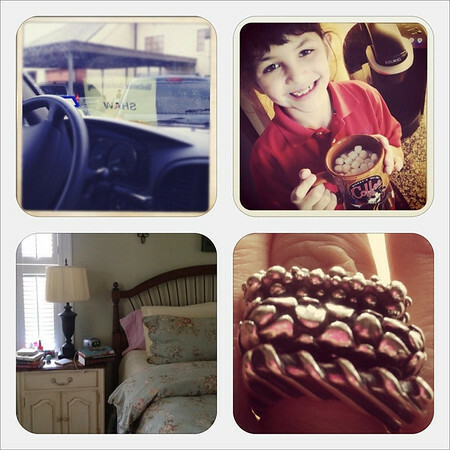 The challenge is on Instagram, you can search the tag #janphotoaday. The know-it-all....umm...is the reason I say "NO" to all the school stuff 99% of the time. Matter of fact, the only time I've set foot in the school this year is to eat Thanksgiving lunch and to pick up a sick boy. 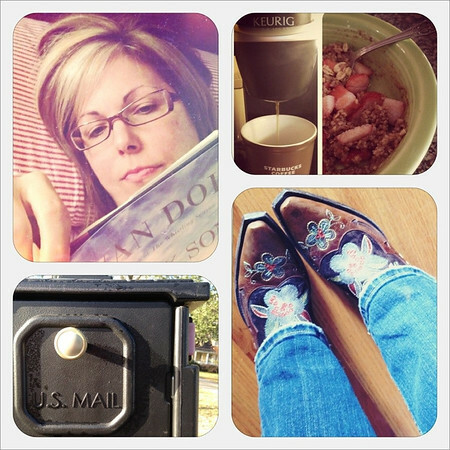 PS- *adore* those boots!